Your welfare, health, and overall well-being is our top priority. When you join our family, we'll strive to work with you in a collaborative lifetime effort at keeping you in the best possible state of health you can achieve. 1:30 p.m. - 5:00 pm. Whether you need a school or sports physical, routine wellness exam, or any other healthcare need, count on us to take excellent care of you. In House PFTs, EKGs, etc. OUR MISSION HERE AT SOUTHERN FAMILY MEDICINE IS TO GIVE A COMFORTABLE AND HELPFUL EXPERIENCE TO YOU AND YOUR LOVED ONES. WE STRIVE TO GIVE YOU THE INFORMATION, TREATMENT, AND COUNSEL YOU NEED TO LIVE A HEALTHIER LIFE. WE HAVE A FULLY TRAINED OFFICE AND NURSING STAFF TO ENSURE YOUR VISITS ARE SAFE AND SATISFACTORY. OUR OFFICE HERE WAS BUILT FOR PATIENT COMFORT AND EFFICIENCY IN MIND. WE HAVE TWO SPACIOUS WAITING ROOMS TO BE ACCOMMODATING AND COMFORTABLE TO OUR PATIENTS. WE ARE ABLE TO SERVE UP TO 150 PATIENTS A DAY. 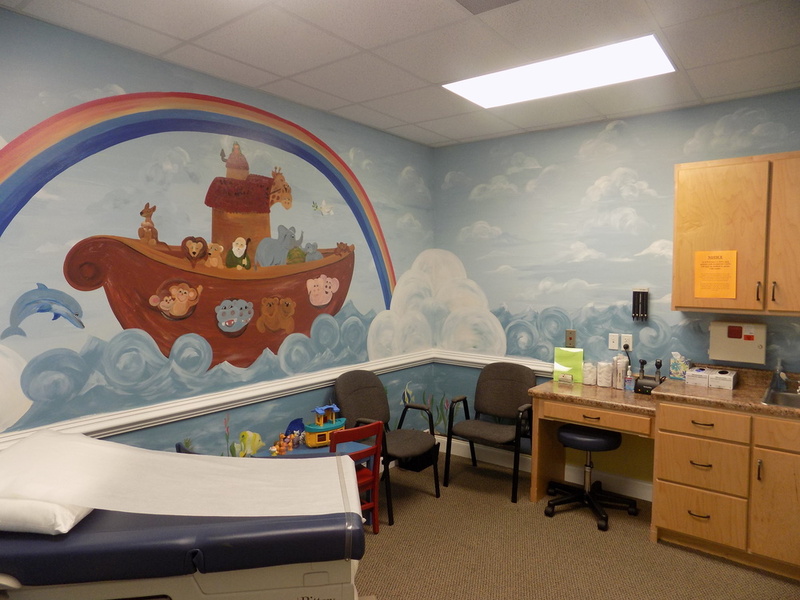 ALSO, OUR PATIENT ROOMS ARE DESIGNED TO BE COMFORTABLE AND PRIVATE AS WELL AS STIMULATING AND PLEASING TO BE IN, WITH A ROOM THEMED AFTER NOAH'S ARK FOR KIDS AND OTHERS THEMED AFTER DR. MILLER'S PERSONAL INTERESTS: GOLF, HUNTING AND FISHING, AND ERK RUSSELL, A FORMER FOOTBALL COACH AND IDOL AT GEORGIA SOUTHERN UNIVERSITY.